Boston’s New Center for Arts and Culture is a cultural institution like no other. 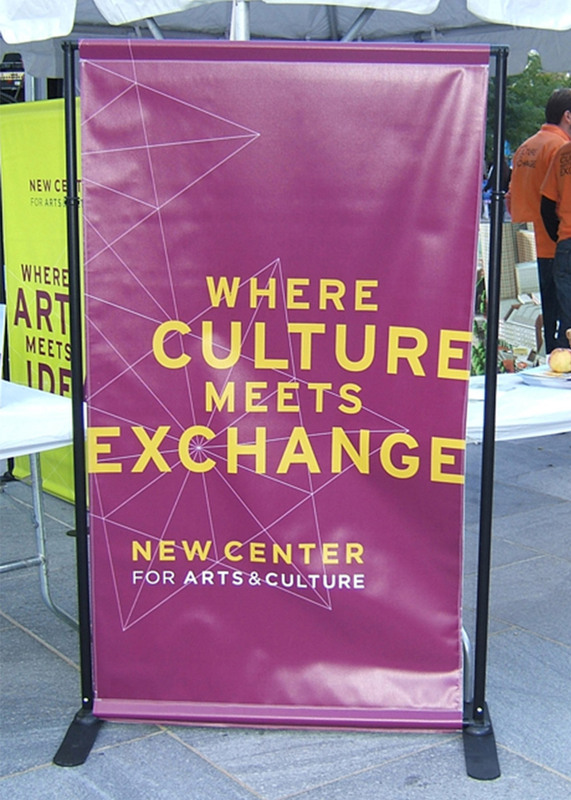 Through innovative programming, performances and conversations, the New Center explores and showcases the creative world of Jewish arts and culture. Facing poor name recognition and a daunting capital campaign goal, the organization approached Minelli to help create internal alignment around their mission and clarify their unique vision to external audiences. By focusing on the intersection of Jewish culture and Boston’s reputation as an intellectually dynamic city, we created a foundation for the organization to create new encounters with art, ideas and cultures. 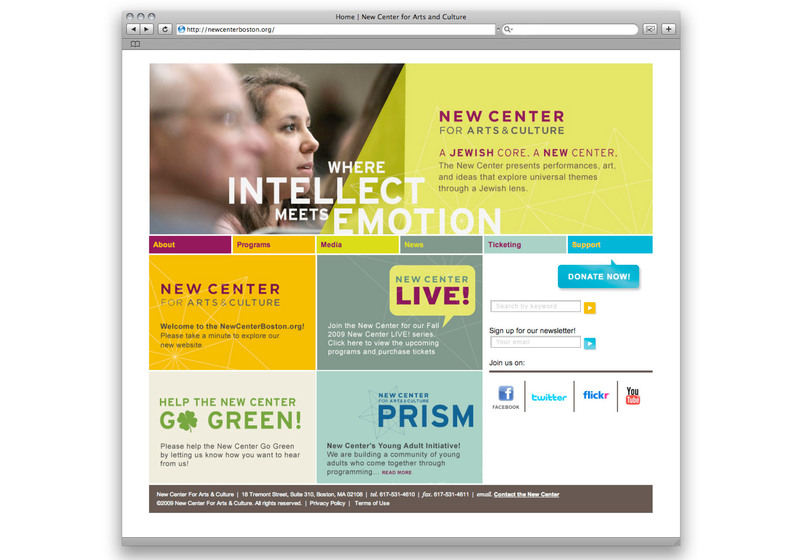 This promise is expressed in a new visual identity and tagline, “A Jewish core. A new center”, that has succeeded in connecting new audiences to the richness of Jewish culture in ways that are meaningful and relevant to the Jewish community and beyond.